DP CMS 1.9 is the latest release of our nopCommerce CMS with a lot of out-of-the-box features. DP CMS is the extendable and affordable choice for all of your nopCommerce projects, no matter the audience or size of the project. Here are some of the features that come as standard with DP CMS that we think that you’ll love. You are also free to do whatever you like with the DP CMS and extend it in any way. Flexibility With DP CMS, you can create any type of website you want: a photoblog, a personal blog, a professional portfolio, a business website, an online community, a government website, news website. Extend with Plugins - You can extend your website with plugins. Search Engine Optimized DP CMS is optimized for search engines right out of the box. Importers Using blog or website software that you aren’t happy with? Running your blog on a hosted service that’s about to shut down? DP CMS has Sync plugin to import data from external DataSource. If you’re ready to make the move, we’ve made it easy for you. 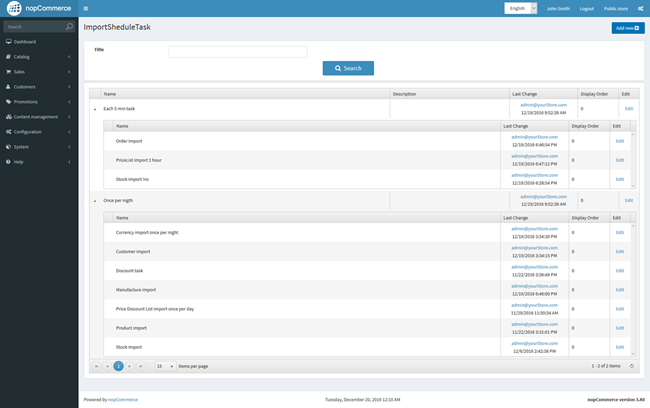 Search DP CMS has Search plugin based on the blazing-fast, open source enterprise search platforms. DP CMS Smart Search provides relevant results, flexibility, and ease-of-use. For developers, we’ve got lots of goodies packed under the hood that you can use to extend DP CMS in whatever direction your fancy takes. Plugin System DP CMS makes it possible for you to create plugins to extend DP CMS. Once you’ve created your plugin, we’ve even got a plugin repository for you to host it on. 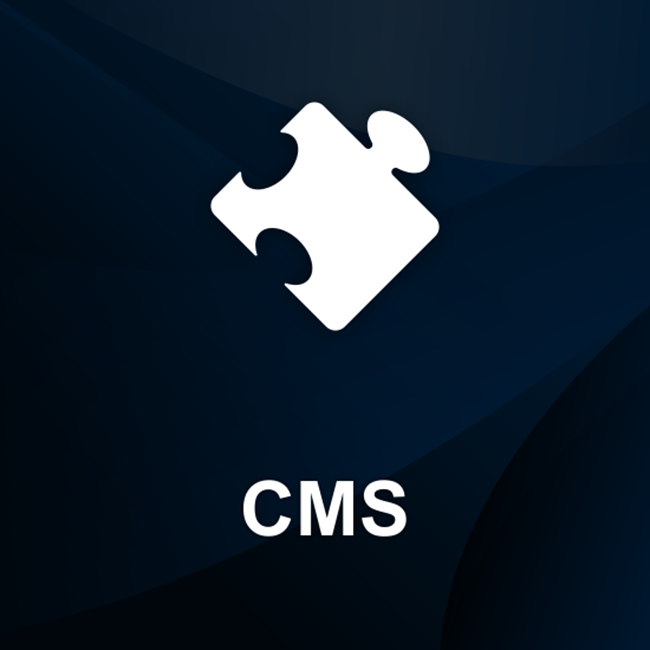 Theme System DP CMS provides the extensibility to create themes as simple or as complex as you wish. If you want to give your theme away for free you can give it to users in the Theme Repository. Custom Content Types DP CMS comes with default content types, but for more flexibility you can add a few lines of code to create your own taxonomies, custom types, and so on. Take DP CMS in whatever direction you wish. Added StartedKit plugin with sourcec code. All menu items were moved to DevCommerce root menu. Added EntityModelService to work with strongly typed model. It can be used to get items with specific entity type from DB and map to strongly typed model and wise verse. Added plugins configuration permissions "DevCommerce: Admin area." and so on. Added IsSubjectToAcl for entities to support Role based security if needed. Changed edit template and public page rendering logic. 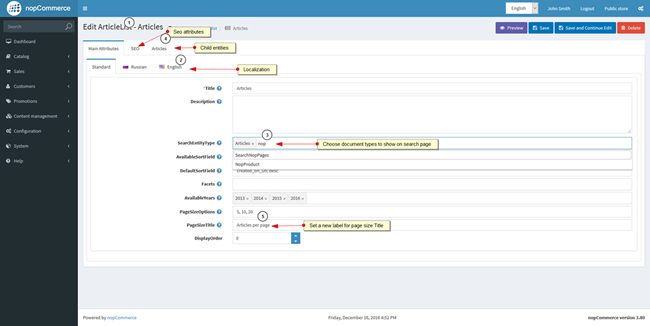 Now you can just specify view path or controller / action of your template. Added HTMLBlocks template to add html blocks with different type of rendering. Added Entities List page Edit/update feature and permission to activate this feature. Added ability to specify attributes for nopCommerce entities. Added ability to add DateTime, Picture, Download, Int, decimal and other types of attributes to the nopCommerce entities. Now you can extend nopCommerce entities and add additional attributes without overriding admin routes/views.